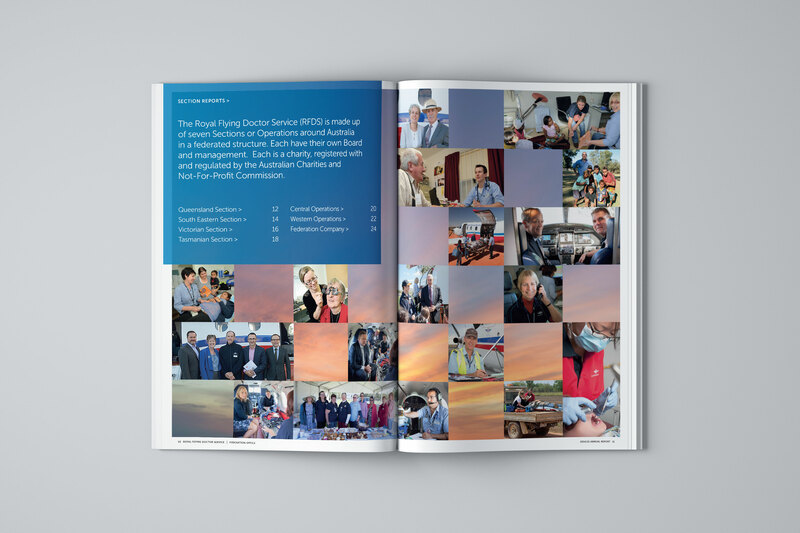 The Royal Flying Doctor Service is structured around six state-based service sections, led by a corporate Federation Office. 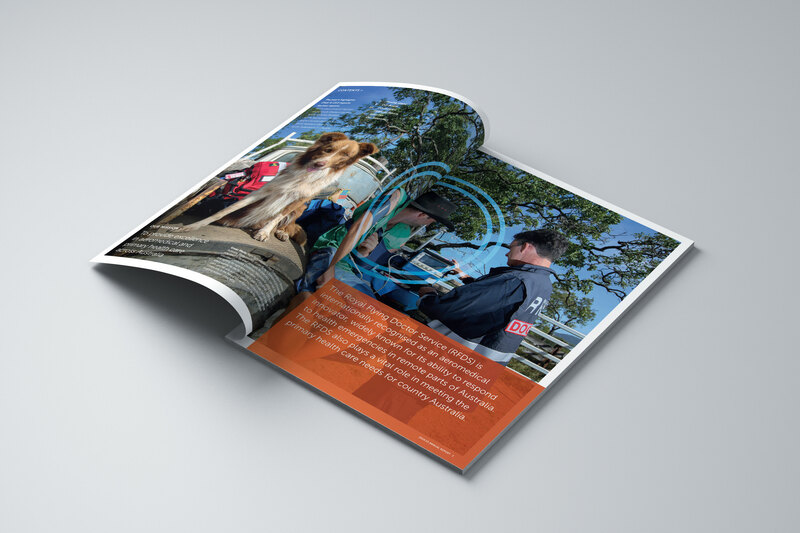 For the third year in a row, Wills was engaged to produce the Federation Office’s Annual Report. 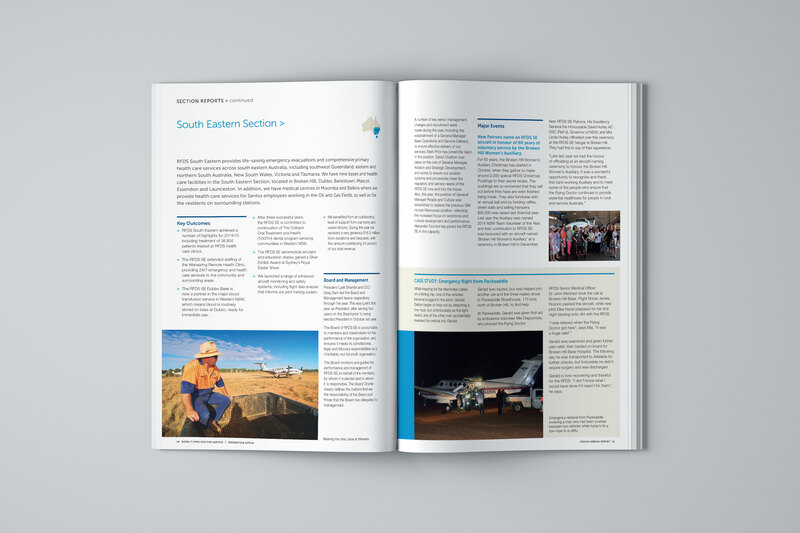 Following an office relocation from Sydney to Canberra, the 2014-15 report focused on greater engagement with the Federal Government. The report profiles the activities of the Federation Office, as well as all six operational Sections. With services from emergency evacuations to primary and speciality health care, and a network spanning the entire country, the challenge for report is to consolidate and present the year’s activity in a clear and effective way. The structure of the report, and graphic elements used throughout, work together to tell a truly national story. With a network of 23 aero-bases, a map of Australia shows the complete coverage they provide. A fleet diagram shows the 66 aircraft and 48 road vehicles that they operate. Feature statistics and reportage photography give a clear picture of the health services delivered.